Wrong Bomb is fast paced pop channeling the energy of power pop from the late 80s, leather jackets pop-punkers with 27 tattoos, and the intensity of On The Mouth era Superchunk. This is Shy Mirrors 3rd full length with the first two LPs released by Big School! Tracklist, tape photos, and more after the jump. Shy Mirrors is the recording project of Mike Downey. Downey is a Chicago native, and was the guitarist and singer in the well loved, critically under appreciated, Wolfie. During Downey's absence from recording he picked up and moved to Stockholm, Sweden. 2010 brought on about the release of Downey's first recorded output in many years, an extremely limited lathe cut 12" called Reactors on Thinking About the Needle. In 2011 Shy Mirrors partnered with the always wonderful Big School Records for the release of Sailed Banks (possibly his first LP since 2001). Downey has dropped the twee association of his old band trading it in for fast paced pop channeling the energy of power pop from the late 80s, leather jackets pop-punkers with 27 tattoos, and the intensity of On The Mouth era Superchunk. Big School released Shy Mirrors' second LP, Negative Collector, at the end of 2012 which was packed full or rippers, and Wrong Bomb delivers more songs to burn through your stereo speakers. Downey's guitar playing has loosened, and you get those beautiful guitar solos hidden just below the guise of the four chords you know and love. Wrong Bomb features 10 brand new tracks in just under 20 minutes. 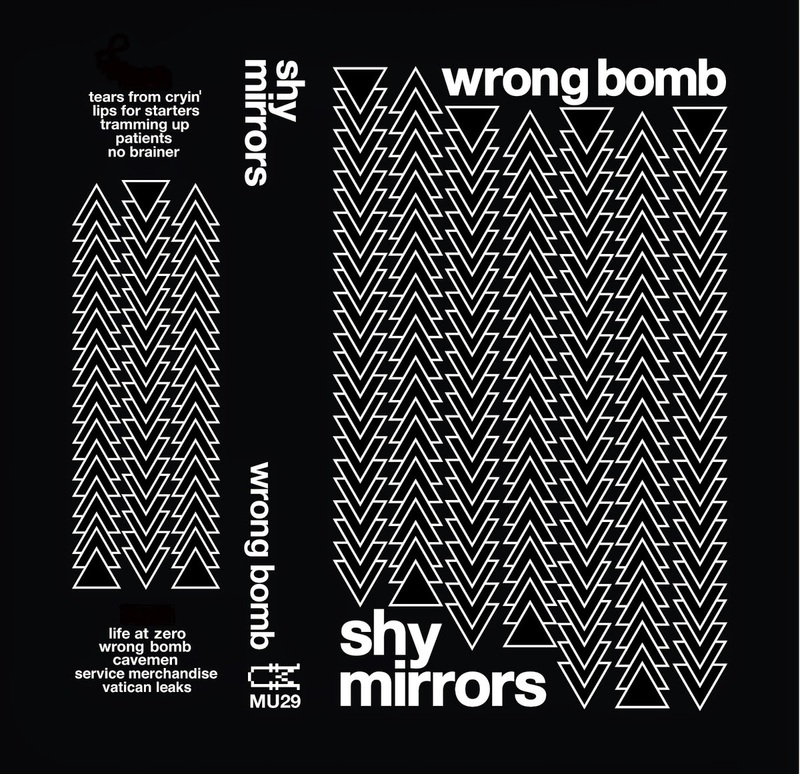 Mirror Universe is happy to release Wrong Bomb after a year and a half of collaboration.